Zimbabwe is under attack from "black propaganda" being peddled by Western forces and opposition political parties in a bid to weaken the cohesion in Government, Zanu-PF and the country's security establishment, Presidential spokesperson Mr George Charamba has said. He said fatuous reports of an ongoing coup d'état and attempts to paint President Mnangagwa as an evil character were some of the psychological operations being employed by detractors with an aim of attacking the people's spirit and cohesion. To accompany this vilification process, Mr Charamba said, President Mnangagwa's Twitter account had been cloned for propaganda ends. This comes hardly a week after Government came under cyber-attack during last week's violent demonstrations by MDC Alliance and its affiliates. Government websites were brought down and there was also a threat to attack banks. 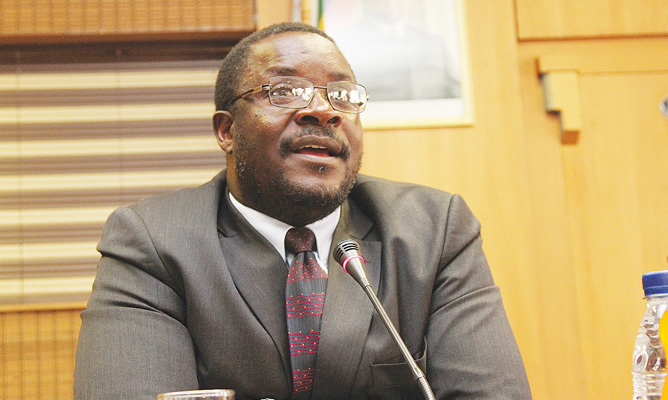 Mr Charamba, who is also the Deputy Chief Secretary to the President and Cabinet, said the manoeuvres will fail. "All this is coming against the background of what we have seen as a concerted attack on the President in his personal capacity as well as the institution of Government," he said. "We are back to the days of black propaganda where falsehoods are peddled as news and fact but also an attempt to paint the President as an evil character. We saw how a picture of the President's visit to a museum of human history in Kazakhstan was turned around to suggest that he was dabbling in voodooism. That's typical black propaganda." Mr Charamba said reports of a coup d'état were false and the country's leadership was at one in growing the economy. "We also saw made up reports of a coup d'état which were then unmade by the same voices so as to attack cohesion within Zanu-PF, the leadership and our security establishment," he said. "I was not spared with a well-respected international news organisation claiming to have got a tweet from me. I have never tweeted and I will never tweet. It's not my style and platform of communication. That's part of rumour mongering meant to destabilise the State." Zimbabwe is working on a Cyber Bill, which has passed the Cabinet Committee on legislation and is about to be tabled in Parliament for adoption. The Bill seeks to guide the formulation of a Zimbabwe Cyber Policy that will ensure that internet and related technologies are used for the good of society, not to violate national security.